Searching for genesis child themes? Here we’ve compiled markets best premium genesis child themes for the very least genesis framework 2.2. Currently studiopress have around 45 to 50 child themes all included into their pro plus package. Along with their child themes we’ve showcased all studiopress community child themes. One more thing if you buy community child theme you’ve to buy genesis framework separately from studiopress. Going Green first ever released a versatile mobile, responsive child theme for genesis 2.0. 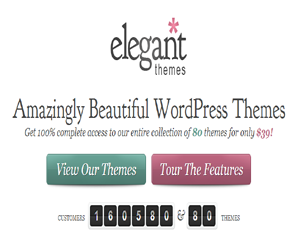 This terrific theme is packed with custom widgets and content modules that give you full control over your page. 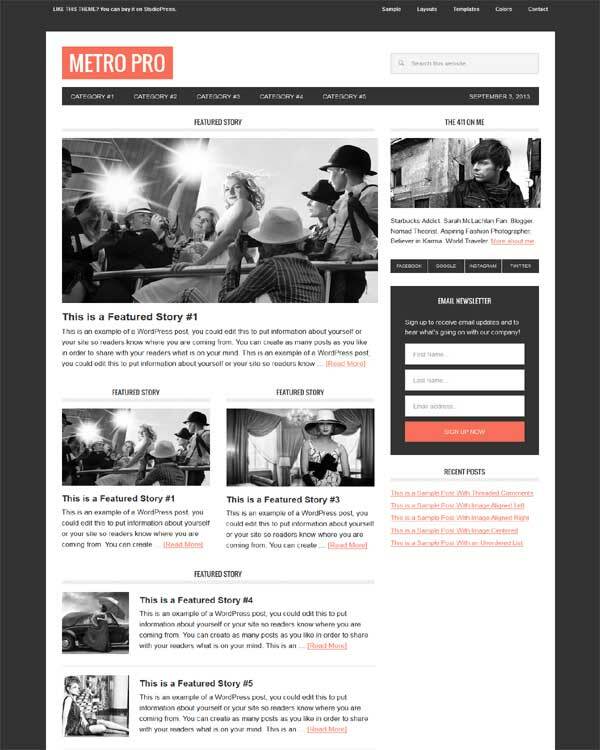 It’s perfect for those who want a professional, clean & stylish design to display their content. Sixteen Nine a fantastic theme lets your verbal & visual personality shine through while proving that design can be simple and stunning. With this great visual design & excellent support for mobile & tablet devices you can easily reach all your readers wherever they are! Parallax Pro is the most amazing and beautiful theme for the genesis framework. It makes your web page like a storybook. Which keeps your readers on your page longer. 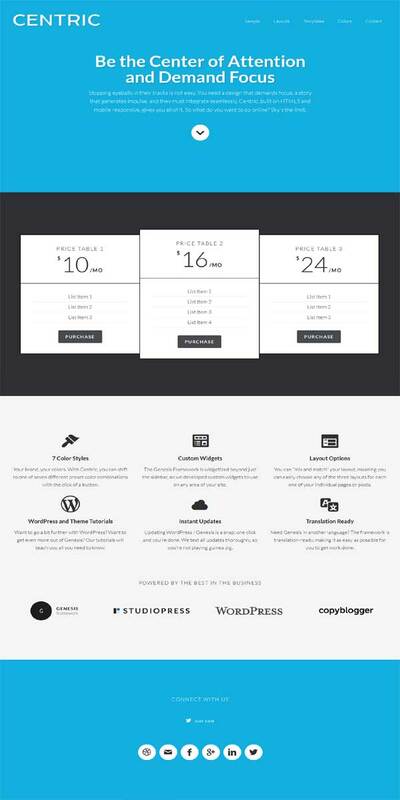 So promote your work in a very professional and pleasant way with the parallax pro theme. Best suited for creative, designers, photographer, portfolio, illustrator and small-business. Minimum Pro a clean, minimalist design best suited for portfolios, bloggers, & businesses that love simplicity. Aside from just looking brilliantly polished & clean, it comes packed with features & options. 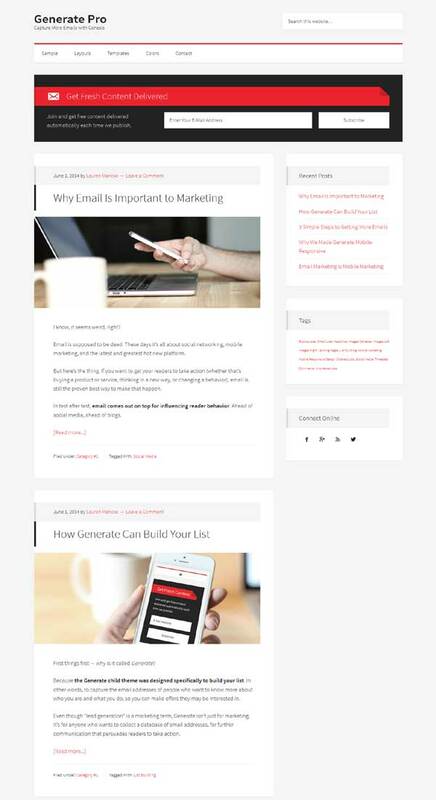 This responsive genesis child theme is optimized for tablet and any others mobile screen. So, if you’re looking for a fresh new 2.0 child theme, then look no further. Eleven40 one of the best selling and popular genesis child themes ever revamped for genesis 2.0. 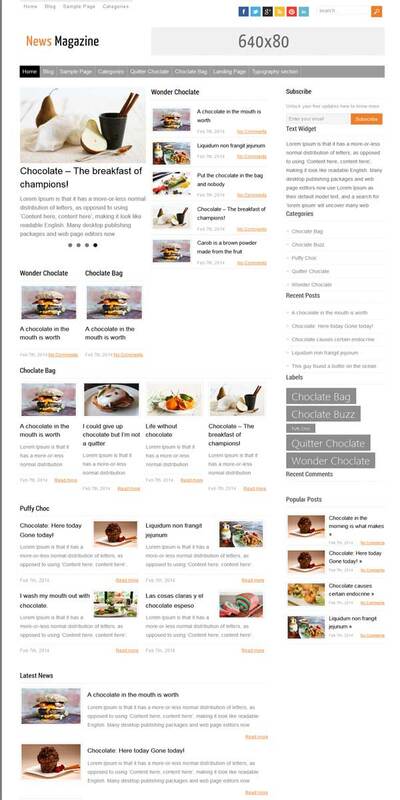 This elegant, responsive & professional child theme’s perfect choice for any type blog. Revamped from old metro them. This lovely fashionable magazine-style layout built on an optimized mobile responsive platform. It’s suitable for any type of blog! Beautiful Pro is a clean, modern, professional, responsive multipurpose child theme for genesis framework. 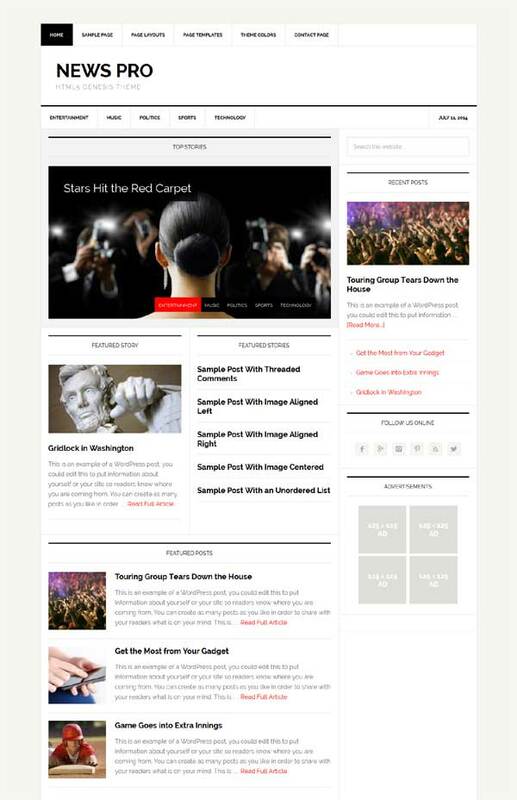 This elegant theme is best suited to specifically for the news, magazine and blog websites. This child theme is very easy to setting up, with the custom options panel. Beautiful Pro is the perfect choose for you if you want a unique website with stunning modern design. 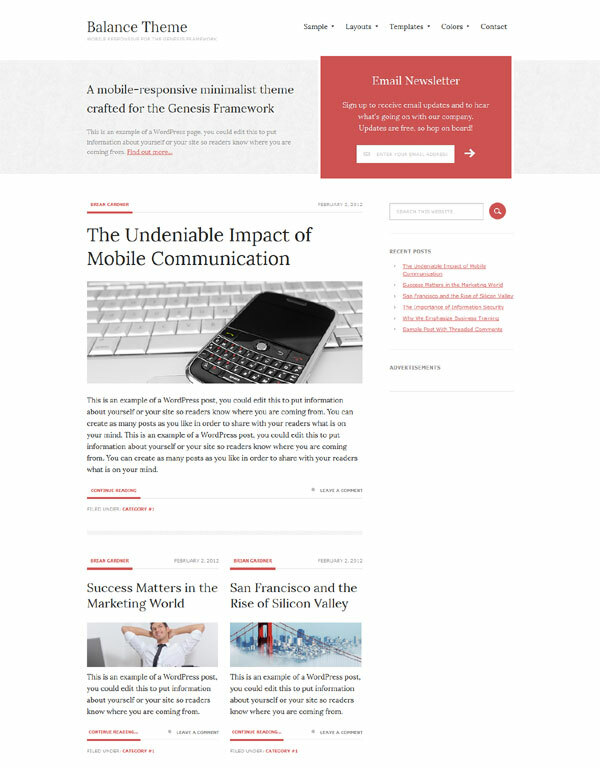 Balance Theme is a mobile-responsive minimalist child theme beautifully crafted for the genesis. Balance has been designed to be sleek, versatile and powerful theme which can be used to enhance any web presence with ease. It doesn’t matter how you choose to view it, you can expect a stunning visual impact on all screen sizes. With its email opt-ins you can grow your business or brand by converting visitor into subscribers. 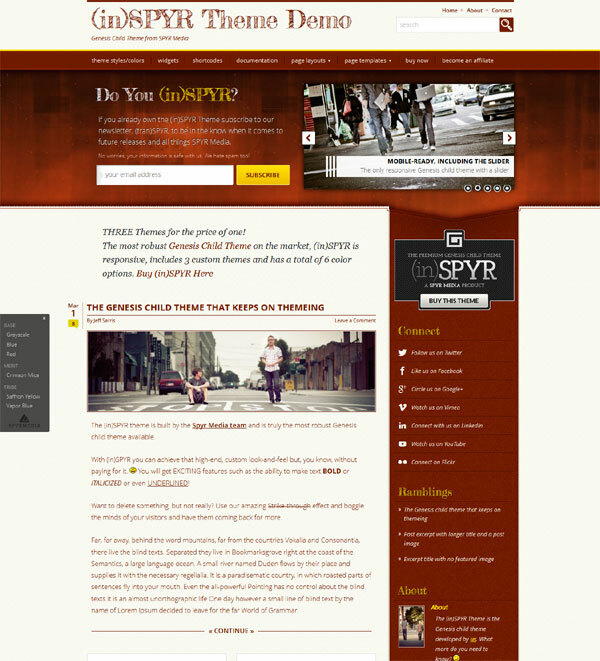 (in)SPYR one of my most favorite child themes for genesis framework. If you ask personal recommendation from me then i would definitely recommend (in)SPYR by closing my eyes! Right now it’s the most robust and sophisticated child theme for genesis available in the market. Along with a rock solid structure you will get 3 themes built in and has a total of 6 color options. It’s fully responsive that works great on any resolution devices, whether you’re on desktop or mobile devices like iPhone, iPad or Android. Don’t miss to check out its demo. Do you like the simplicity if so you can use Winter Song Pro Theme to show your visitors who you are & what you are doing in a simple, attractive and stylish way! 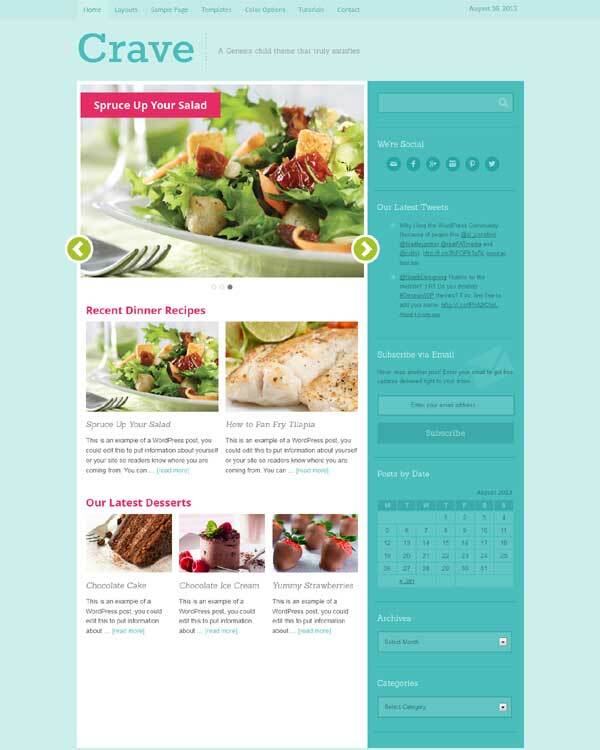 This Beautifully designed and meticulously crafted theme is perfect choice for any type of website. Winter Song Pro is fully responsive it will look very fit on all devices. Generate Theme yet another terrific genesis child theme i personally like. After (in)SPYR i’d prefer generate for my sites. The reason I like it not only for its power and flexibility, but also helps to generate more and better email leads. You can use it if you want to show your content with a clean & beautiful design which looks amazing on desktop & mobile devices. 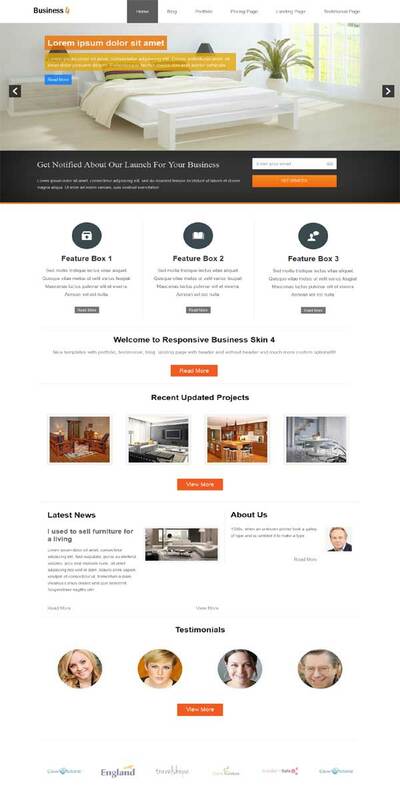 A modern & user friendly child theme for genesis framework designed to grab your visitors attention. Its clean, minimalist design suited for bloggers, businesses, and portfolios that love simplicity. Coded with care in HTML5 & CSS3 and pretty easy to customize its colors, typography & other settings. 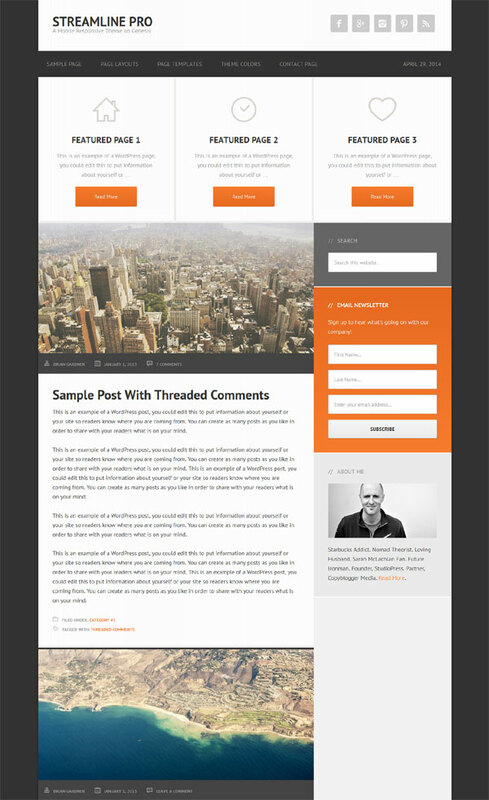 Streamline a superb clean & responsive child theme for genesis framework designed for media-oriented bloggers. It will throw light on your work, letting you get back to what is important and focus on the things that matter. You can manage and customize it with a very user-friendly theme options panel. It’s suitable for any type of websites. Do you wanna go ahead? Stand out from the crowd and let your originality move you to the front of the line? 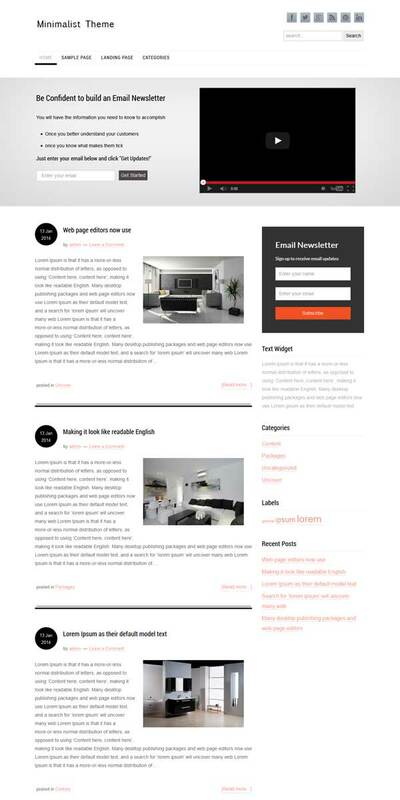 Then Modern Blogger Theme is for you. This ultimate blog child theme has powerful features that will allow you to quickly build websites very easy and unlimited your creativity to make impressed websites. 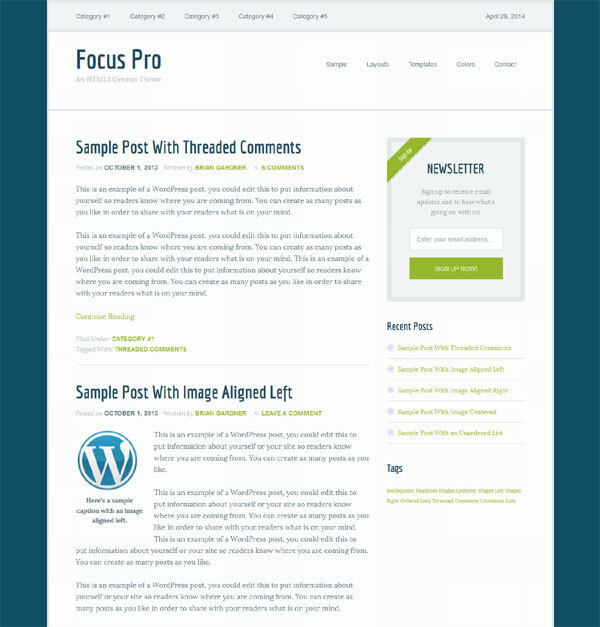 Focus Pro is a gorgeous, powerful, minimalist and a responsive child theme for genesis. It’s very flexible and easy to use with lots of options, unlimited colors & fonts. Use the Focus Theme to bring your words, pictures and videos into sharp relief. News Pro is perfect for any news related sites. 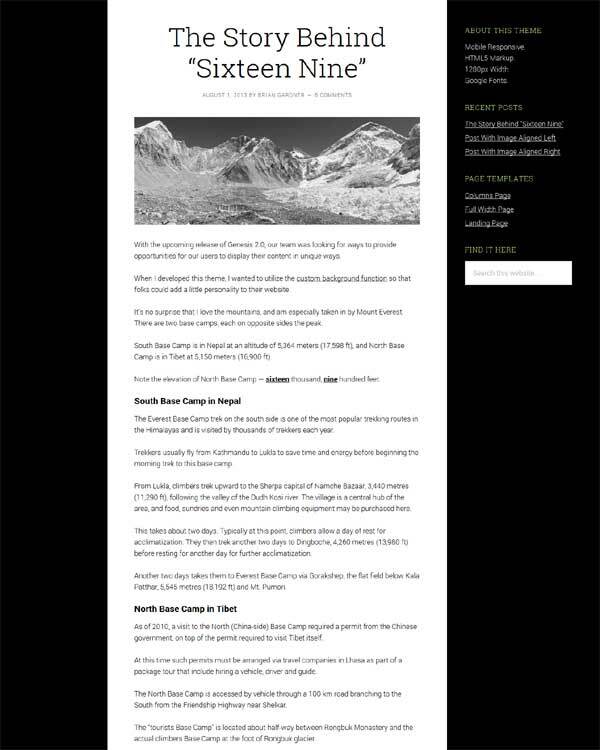 Build your news related site instantly using news pro theme, but it can be used various purposes such as for technology blog or for an online magazine as well. It’s specially designed to give publishers every bit of responsiveness with quality and eye cache design they need to succeed on the 24/7 web. 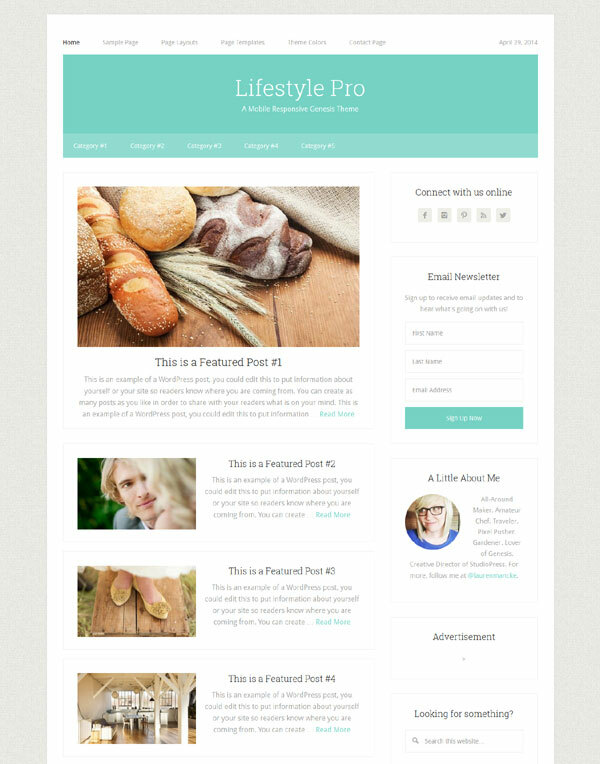 Lifestyle Pro a fully responsive HTML5 child theme for genesis that is ideal for the self-employed. With it you can publish your content stylish way. Its powerful admin option will give you full control over modification and customization its layouts, colors, logo, fonts, slider, widgets etc. Are you about to build a authority based blog and looking for a child theme that feats your needs? 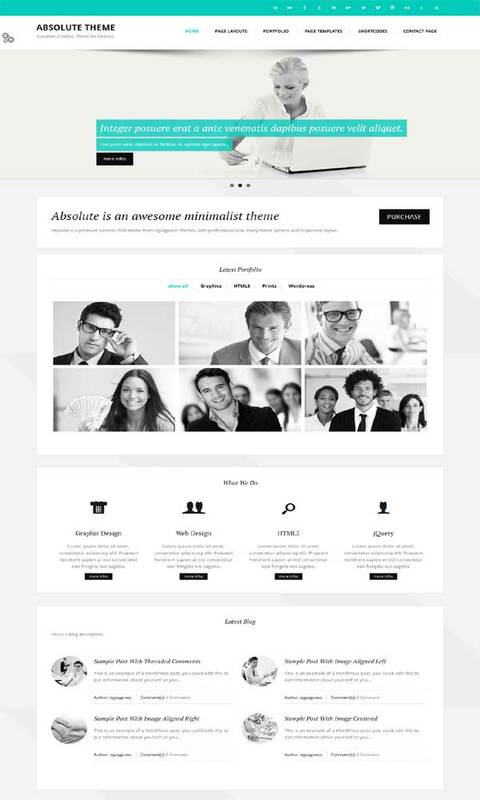 Then look no further author pro theme can be a solution for you. 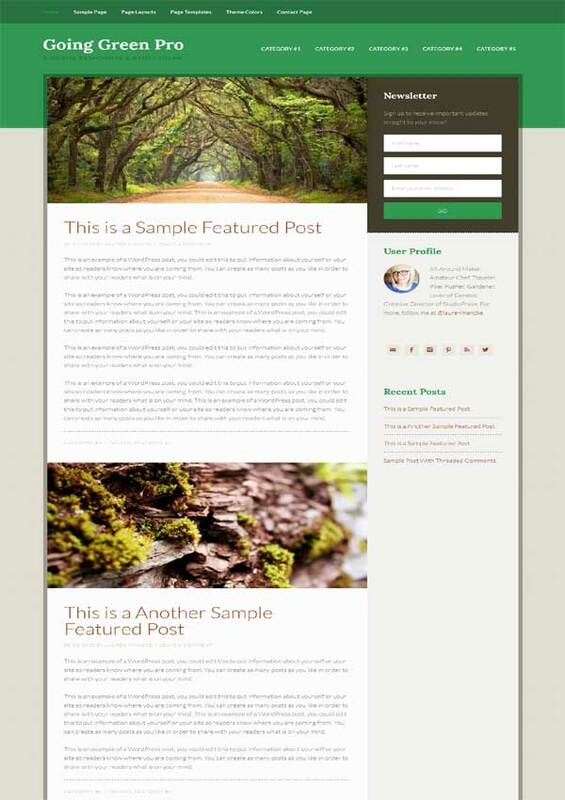 This theme is specifically designed to help authors get their work into the hands of eager readers. 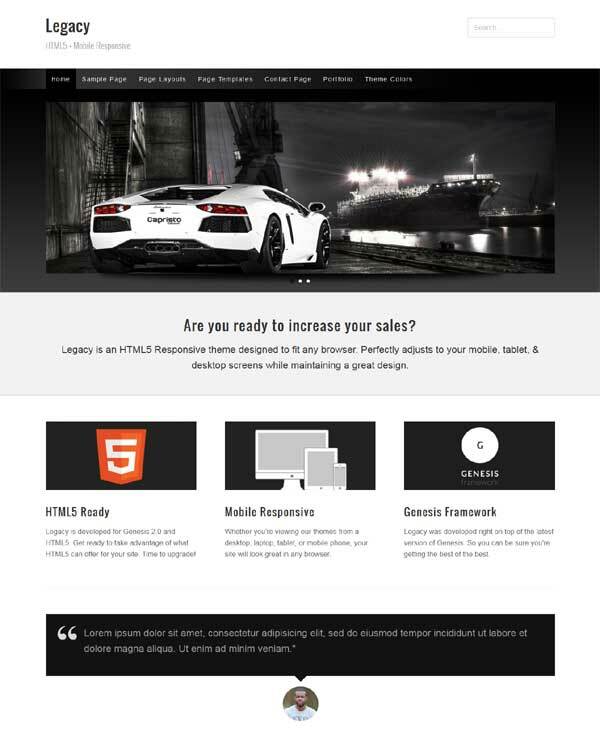 This theme is clean, clear, and easy to navigate fully responsive and of course user and readers friendly. 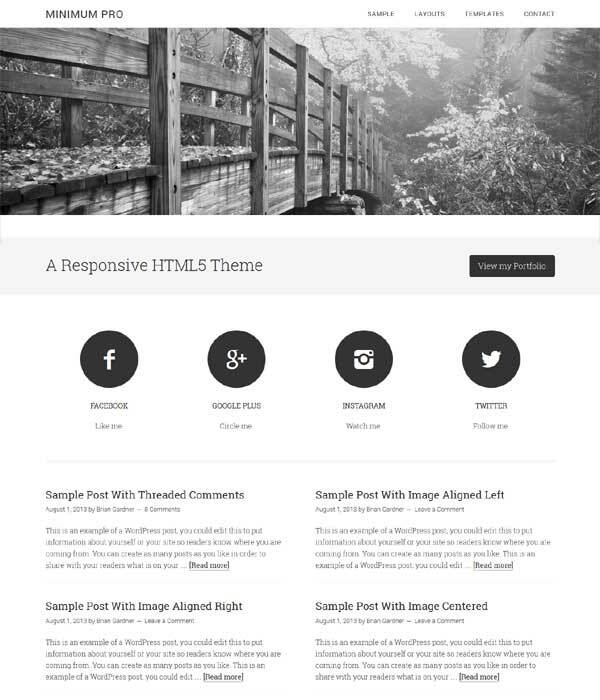 Comes with genesis author pro plugin to enhance the functionality of this theme. 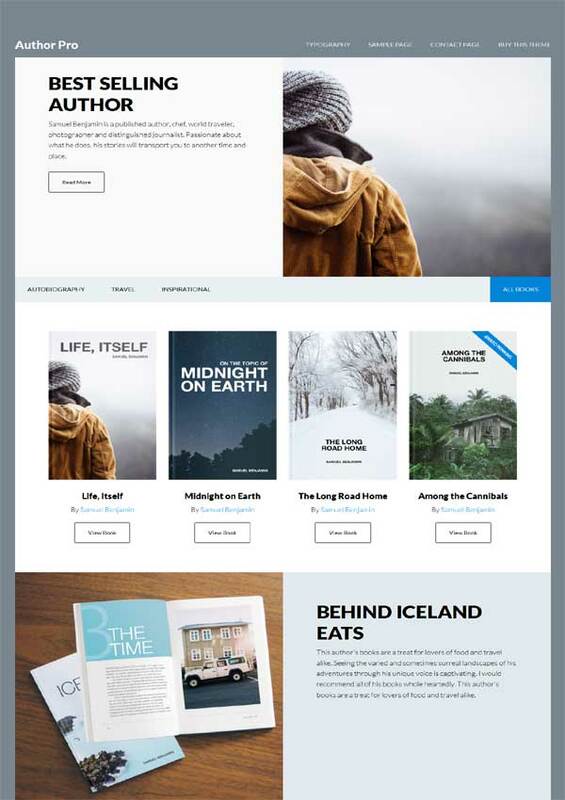 Following genesis child themes are developed by studiopress design community. These themes are built upon the Genesis Framework & are documented and supported by the developers themselves. These themes are not included in the Special Pro-Plus Package but can be purchased individually from studiopress. 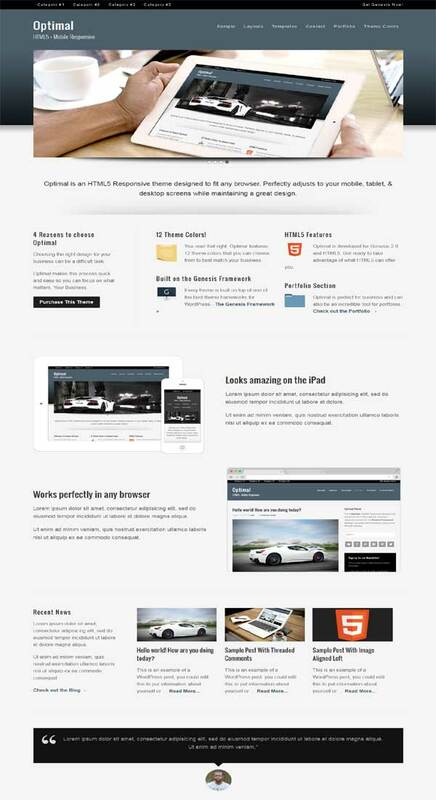 StudioPress assures you that the design and coding of these themes are top-notch. Surely this list will help you to choose perfect child theme for site! Basically we’re covering following sites child themes. Crave is appealing just like a banana! 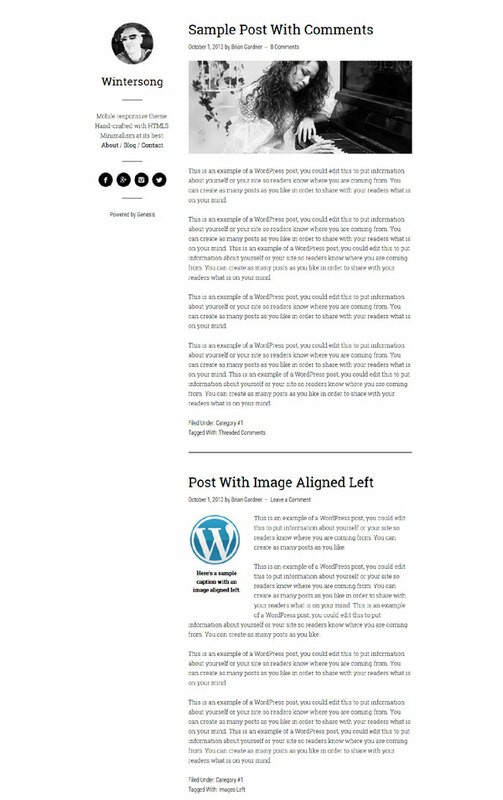 With this dual purpose blog and magazine UI theme and appetizing aesthetic, your readers will definitely be lining up for seconds. Included multiple color schemes for styling. Fabricated is a multipurpose child theme for genesis with a clean and colorful design and lots of contrast which creates a heavenly backdrop for your content. Designed specifically for the magazine and blog websites. Have you’ve ever desired a theme that demands attention, encourages creativity, and gives you a unique design, then look no more. In that case epik is the ultimate solution for you! 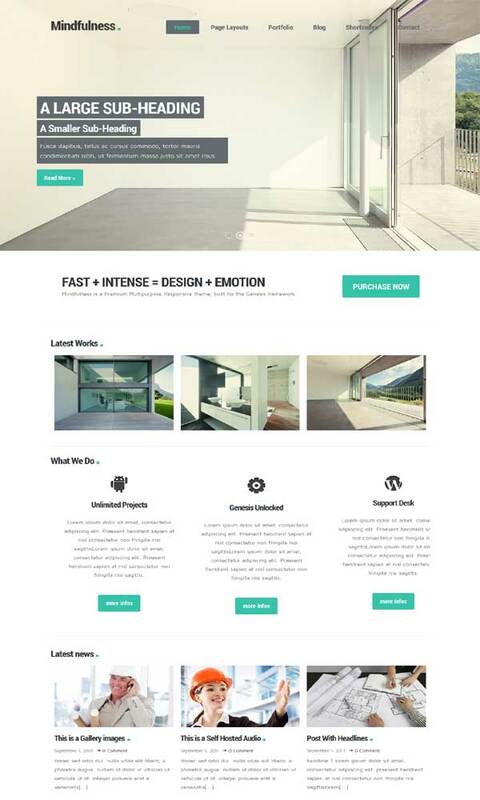 With its stunning design take your site to the next level. It’s suited for business and portfolio site. 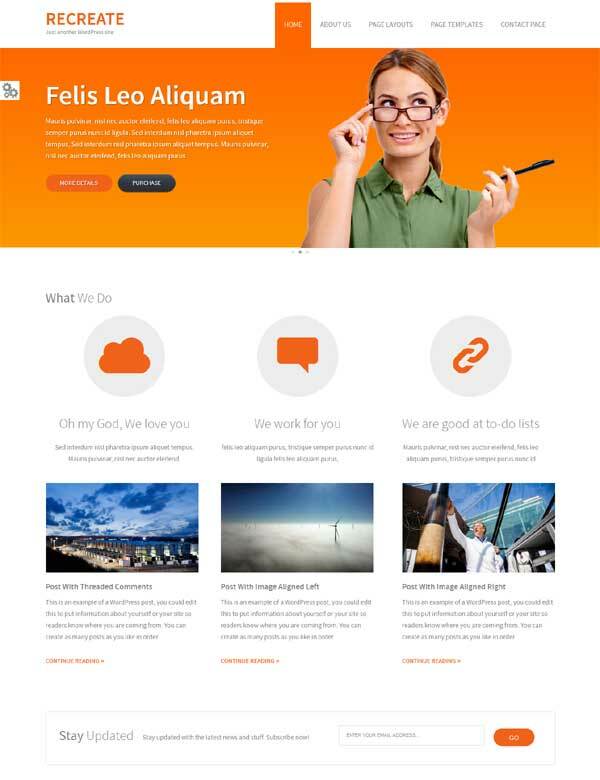 The optimal theme is ideal for those who want a professional, fresh, and stylish design to display their content. It brings together all of this, and is ready to help you create yours. Give optimal a try to make your site something special. Legacy a premium genesis child theme with unique design, flexible and fully responsive! Easily fits for any kind of website demographics. Apart from just looking brilliantly polished and clean, it comes with full of features and options. 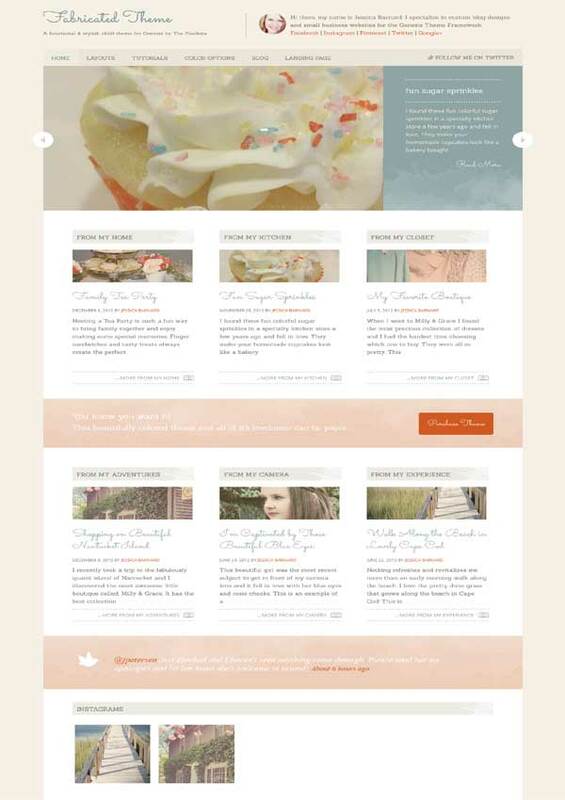 Mindfulness simply an amazing, responsive child theme for genesis framework; perfect for blog, portfolio and business. It’s pretty easy to use and customize no matter if you are a WordPress pro or a newbie! 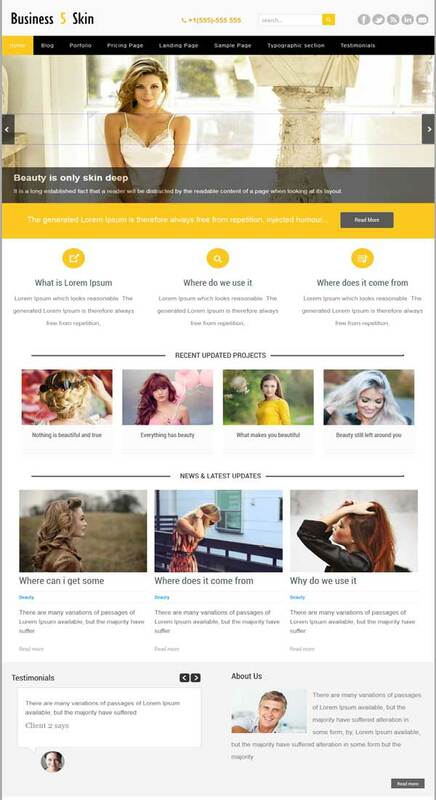 Recreate a gorgeous layout and designed responsive theme with 10 color schemes and includes Flexslider. Ideal for portfolio and business site. If you want a decent theme website where you can showcase your work, then prestige theme is right choice for you! This multi-purpose child theme is SEO optimized, responsive, flexible & professional and comes with lot of features & options. 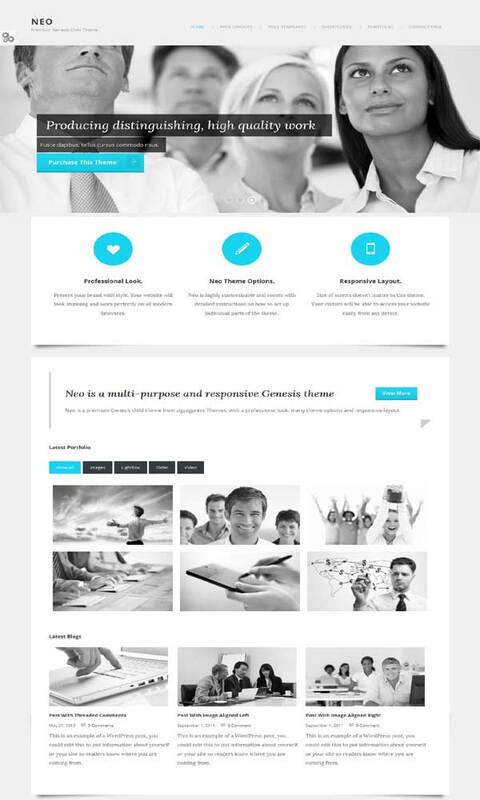 NEO a clean and responsive child theme for genesis sophisticated solution for showcasing your work. Absolute a creative child theme & smart portfolio for very creative people. Designed as a pure corporate graphics solution suitable for business, portfolio, organizations, or product single sites with the support of responsive layout. Eshop a complete eCommerce child theme for genesis. 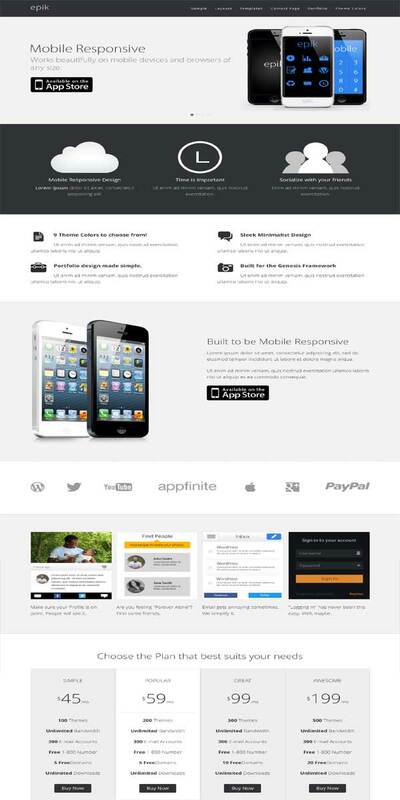 If you’re thinking to build an eCommerce site with genesis theme framework then eshop would be the best choice for you! All you have to do is; with WooCommerce shopping system install genesis connect woocommerce plugin. 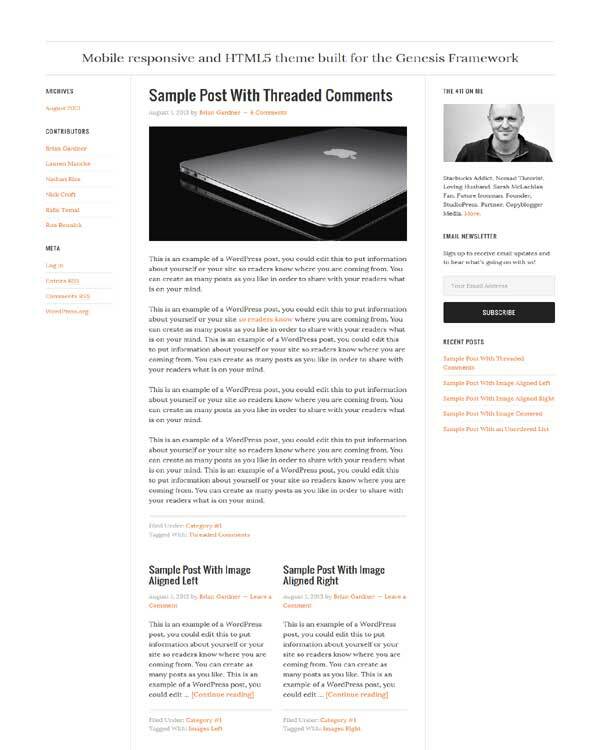 Cinch is a simple but powerful theme designed specially for the modern bloggers. It’s clean, super flexible and fully responsive which is ready to set a new standard with endless possibilities. 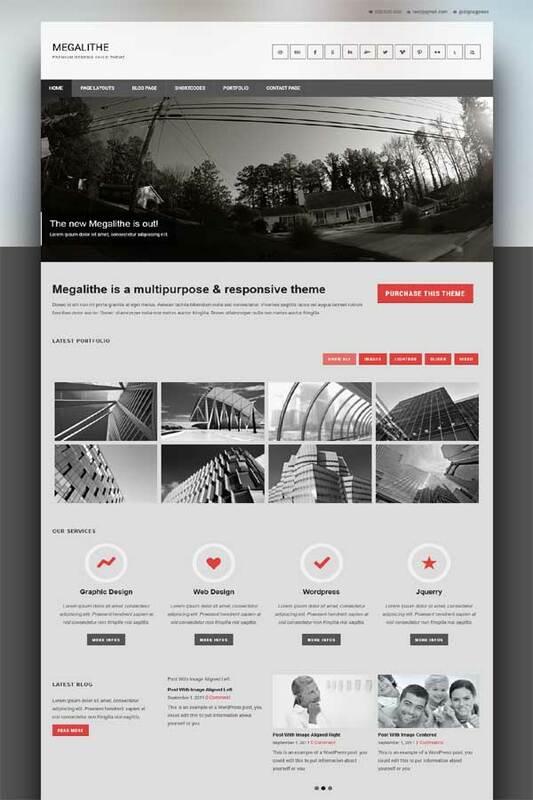 Megalithe a super clean, responsive, professional and WOW child theme for corporate and portfolio sites. It simply presents your content in a way that is accessible, logical and beautiful. Promise! You’re gonna fall in love with this theme. 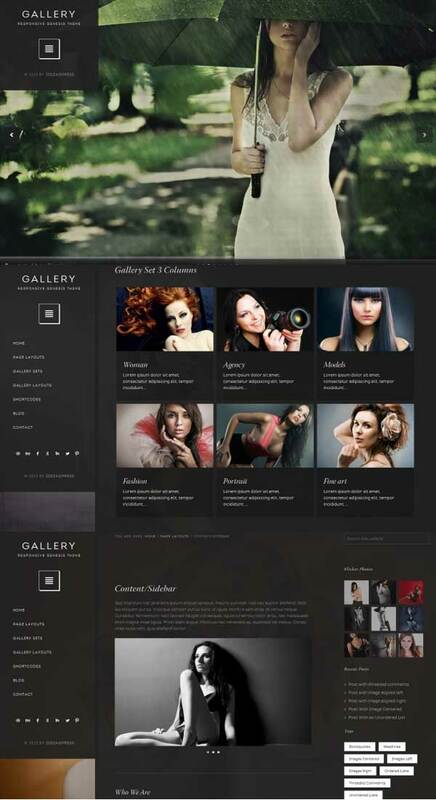 Gallery a dynamic child for photographers those who are quite passionate about photography. Best suited for photographers and creatives who use portfolios to effectively present their work. 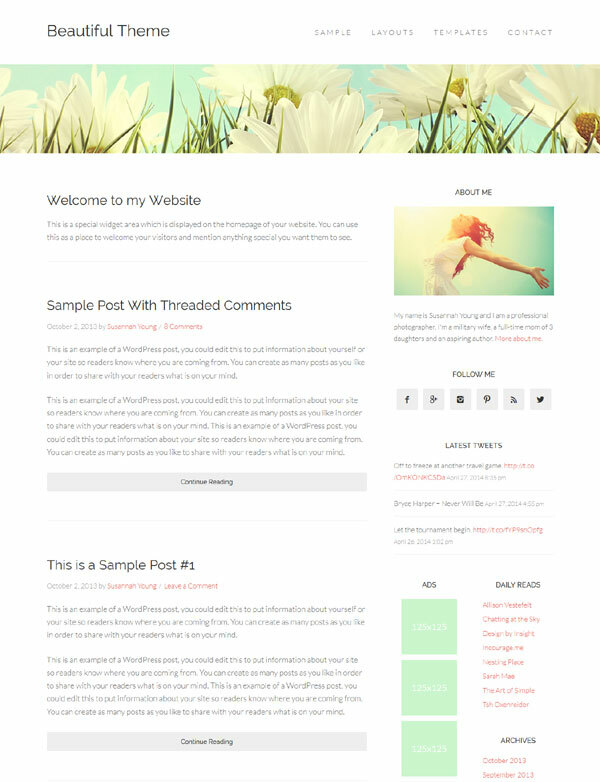 Blo-Cer a beautiful, super clean, very flexible to customize premium genesis child theme for genesis framework. It’s suitable for any type of site. Created with love using the latest CSS3 & HTML5 techniques and obviously its fully responsive. 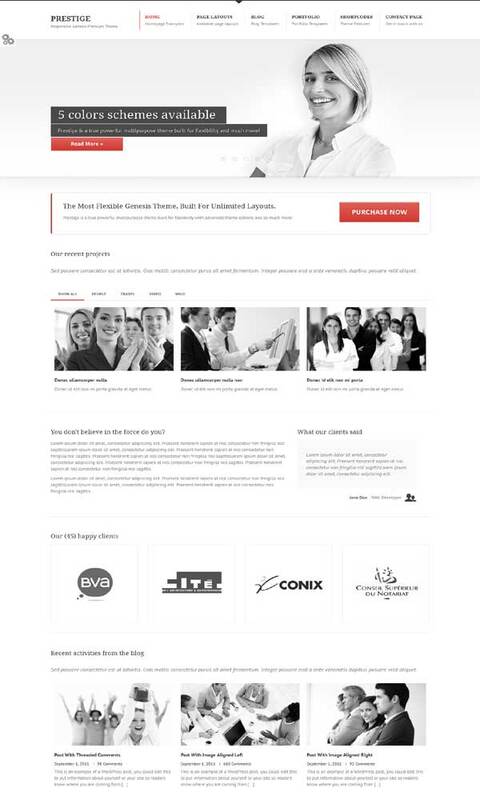 If you are looking for a slick new page-based child theme excellent for anyone looking to give their website a clean and professional look. In that case Jane will help you make a big impact on your readers by keeping your design simple and effective. TechMagazine is perfect for magazine, blog and news sites. This super flexible modern theme includes everything you need to create your own eye catching site. BS4 fits the need of any corporate, agency or business type of website. Its professionally designed and highly customizable and comes with powerful backend options panel allows you styling your site and presenting your work the way you want. It looks great in all mobile devices tablets. 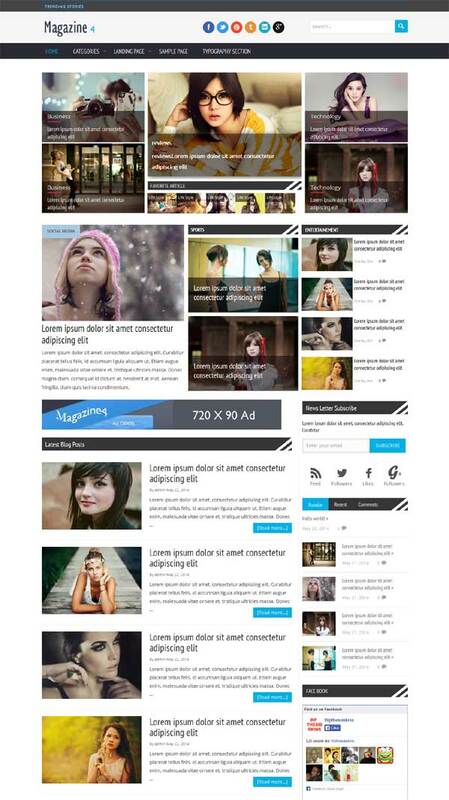 GM5 a responsive, clean & modern premium genesis child theme specially for freelancer business or Agency. Included drag & drop page builder, google fonts, color schemes and much more. Show off all your work gorgeously with genesis magazine 4 child theme a truly beautiful & flexible design. 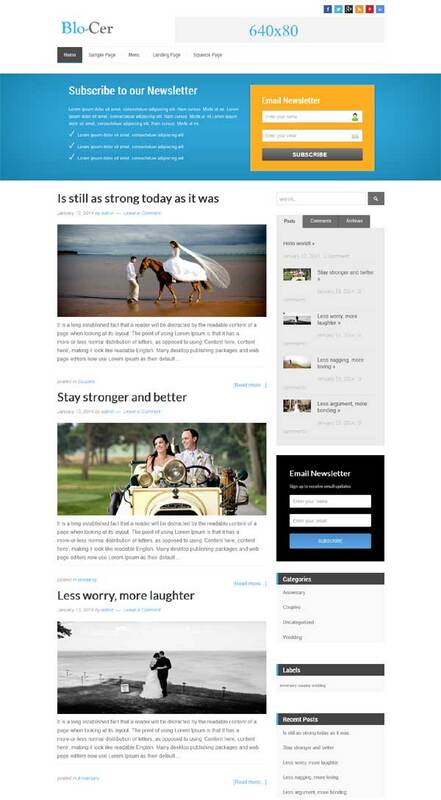 This clean & classic theme can be used for blog, magazine and photography site. 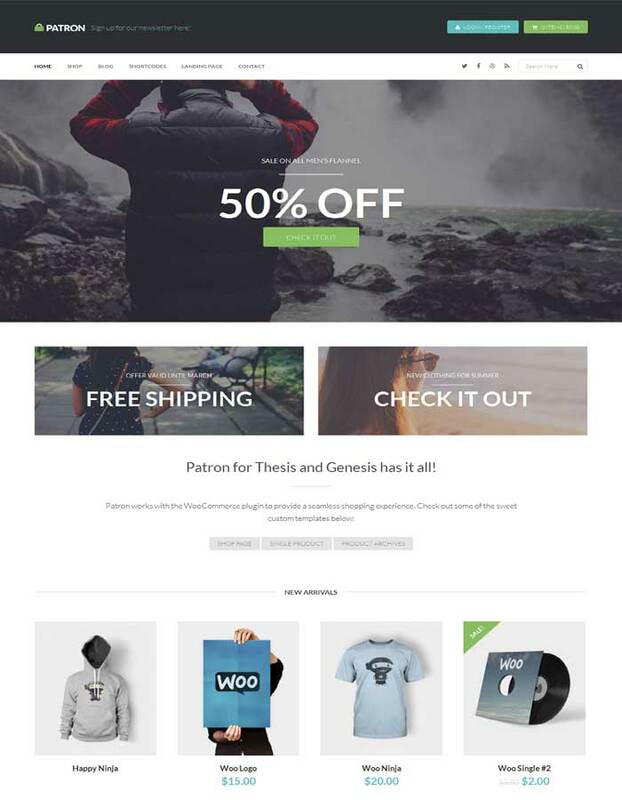 Genesis Patron child themes with woocommerce plugin can be a killer combination if your looking specifically for eCommerce genesis child theme. The cool thing about this theme is along with genesis it also support the most popular thesis framework. That means you parton can be used as thesis theme skin as well. 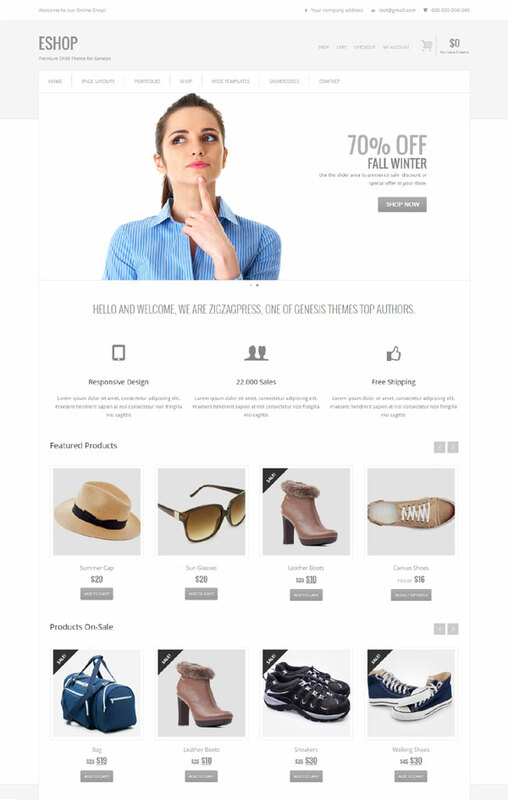 Build your shop easily with the worlds best shopping plugin with parton. Works right out of the box with ajax shopping cart.